You will also enjoy a wide variety of Dominica attractions which are family-friendly and quite interesting. You can experience numerous UNESCO World Heritage Sites such as Morne Trios Pitons National Park which contains several picturesque waterfalls like Trafalgar Falls as well as geothermal features like Boiling Lake and the Valley of Desolation. You can visit the ruins of the 1770 constructed Fort Shirley with some 50 buildings that housed up to 600 people at one point, one of the best Dominica points of interest. 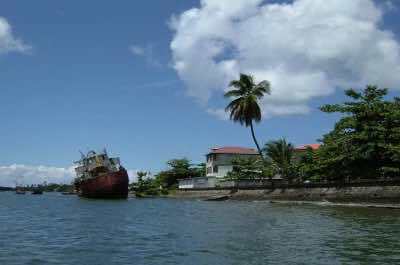 If you like to visit unique movie sets then travel to Indian River where many of scenes were filmed during the movie “Pirates of the Caribbean.” You can also indulge in great culture and cuisine within the port city of Roseau where French culture has been woven into West Indian architecture. No matter which Dominica attraction you choose, you will be happy that you visited one of the most natural islands in the Caribbean. 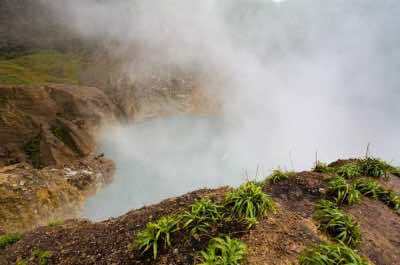 The Boiling Lake is an incredible place for visiting in Dominica. If you are physically fit, don't miss the opportunity to hike around this lake. Only official guides can lead tourists to this area of the Morne Trois Pitons National Park, a World Heritage Site by UNESCO. This unique experience is among the best Dominica attractions. During the journey, you'll be in contact with nature, see rare birds species and pass through the Valley of Desolation - a place where the weather changes for a warm, humid air with volcanic gases and sulphuric vapours. All the effort is rewarded with the amazing landscape that you can admire from above. You can choose to reach the Boiling Lake during a 7-hour tour of the park or in a full-day tour around the island. The Morne Trois Pitons National Park is considered a World Heritage Site by UNESCO and is one of the most interesting Dominica attractions. This reason is enough for visiting this amazing park. The park has over six hectares and holds surprises such as the Boiling Lake. Walk through the park, observe the different kinds of vegetation, that are divided into six zones. The richness of the fauna is also an amazing feature of this park. Among the many animals, meet the parrot, a symbol of Dominica. Choose a day tour to enjoy the wonders of the park. If you're looking for a yachting or diving adventure, the Portsmouth city is recommended for you as one of the best Dominica points of interest. 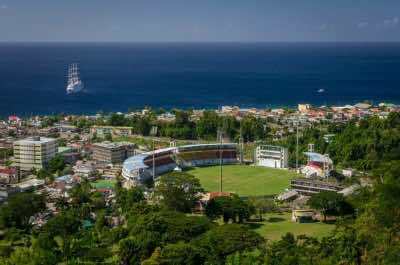 Portsmouth is the second largest city of Dominica, only behind Roseau, the capital. Portsmouth is where the spectacular Indian City meets the sea. Close to the city is the Cabrits National Park, where you can visit the Fort Shirley, an interesting construction of the 18th century, from where you can see the city from above. Take your time also to try paddleboard and snorkelling up a river in Portsmouth. Roseau, the capital of Dominica island is where the social life and shopping happen. The city is the biggest in the country and offer many options for you take a maximum advantage of your vacation. The most charming area of the city is the French Quarter, where you can see the influence of the French culture in dialogue with the West Indian architecture. You can make a safari aboard of a jeep, have a cooking experience and learn about the many parks and beaches throughout the island. The Wacky Rollers Adventure Park is for those that are willing to include adventure and adrenaline into their list of Dominica attractions. This park provides you the experience of wacky rollers and zip-lining from one tree to another and over the river. This is an excellent possibility to enjoy the nature while you have fun. If this is your first time, you'll have all the support of a skilled staff. They will inform you about the safety precautions to enjoy your adventure at most. Several options are available for you to choose which one fits better for you. If you are extremely confident, challenge yourself in the Tarzan Jump, a zip lining across the Layou River. If you're a beginner, the Indiana Bridge, and the Monkey Bridge are perfect. Located in the UNESCO World Heritage Site of Morne Trois Piton National Park, this Dominica attraction can be reached by a short five-minute walk which makes Emerald Falls perfect for families. 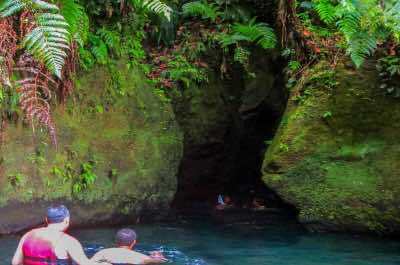 Once at this Dominica attraction you will enjoy the rich tropical landscape and you will be mesmerized by the water tumbling some 40-feet downward into a fabulous pool of water. The color of the water looks green because of the reflection of the lush green landscape that surrounds Emerald Falls. The water is chilly but you can swim across the pool until you are right next to this stunning waterfall. Emerald Falls is also famous for being featured during the movie “Pirates of the Caribbean.” The grotto which is present at the falls is fantastic offering soft sand and a unique view of the water as it cascades into the pool. You'll feel like in a dream. The Emerald Pool is right at the bottom of an unbelievable 40-foot waterfall - Ti'tou Gorge. This program must be on your list of Dominica attractions to visit. If you wish to have a guide, you can take the Morne Trois Pitons National Park Day Trip. This tour leads you to the main attractions of the island and has departures from the Roseau, the capital of the island. This park is a World Heritage Site, proclaimed by UNESCO. Beyond the Emerald Pool, you'll find beautiful lakes and amazing hiking tracks. The Ti'tou Gorge located at Morne Trois Pitons National Park is among the best natural attractions in Dominica. Make your trip even more interesting meeting this magnificent place, located in the village called Laudat. The name means "little throat" and is related to the wonderful waterfall that created the natural pool. In order to reach Ti'tou Gorge you need to swim during five minutes in the crystalline waters. Enjoy the opportunity to take a tour that also leads you to learn about the Morne Trois Pitons National Park and make a pleasant hike around Ti'tou Gorge to appreciate the beauty from above. You can also arrive in the Laudat village by a jeep. This is possible through a safari tour that visits the Botanical Park and the Wotten Waven Sulphur Springs, remaining of volcano activity. 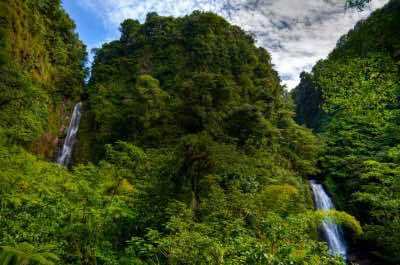 The Cabrits National Park is located in the north of the island of Dominica and is considered as one of the top Dominica points of interest. 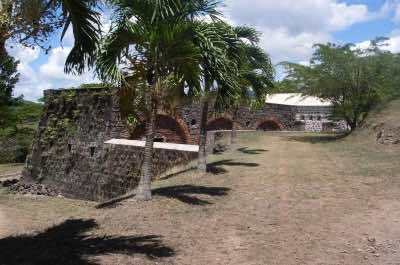 The Fort Shirley located in the park is one of the most interesting Dominica attractions. It was built around 1770. The fort was a unit of the British colony. It was made a huge effort to restore the historical place and today you can learn about the history of the museum. In the park, you can observe the city of Portsmouth and the bay of Prince Rupert. Very near to the Cabrits National Park you can have the amazing opportunity to get in deep contact with nature. Passing through the awesome Indian River, you can see native animals and watch the beauty of the vegetation. Some excellent tour excursions include also the black sand beach, called Purple Turtle. The Fort Shirley has an incredible history that starts in the year of 1770. Built to protect the north part of the island from the Dutch and French, the garrison was quite large, with 50 buildings with the capacity to receive over 600 persons. Although the high importance of the construction, it was abandoned in the following century, about the year of 1854. Fortunately, this amazing place was restored in 1989, when it became also a museum that tells the history of the area. It's worth it to make an effort to visit the fort that is considered one of the best attractions in Dominica. The fort is placed in the Cabrits National Park. From there, you can extend the journey and visit the Indian River and the Purple Turtle Beach. Did you know that the symbol of the Dominica Island is a parrot? Yes, the Sisserou Parrot lives exclusively on the island and you can learn about it by visiting the Dominica Botanic Gardens, a 40 acre reserve that holds over 50 different types of plants. These gardens were planted back in the 1890s, by the British when they were doing tree and crop trials in their colonies. The Gardens are located in Roseau, the capital of the island. There you will see examples of important indigenous and exotic tropical trees, and see the lawns and cricket field laid out by the British more than a hundred years ago. To visit the Botanic Gardens, you and your family can take a pleasant stroll through the capital to the Gardens; or take a guided tram tour through the town that will also pass through the Gardens. These tours are guided by professionals who will provide detailed information about the visited places. The Botanic Gardens is certainly one of the best attractions in Dominica, and a visit there is a must. 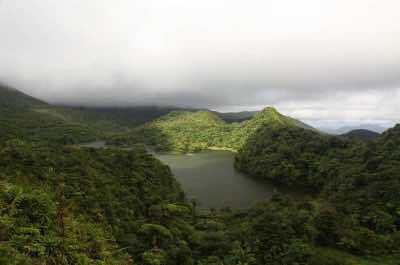 The Freshwater Lake is part of the World Heritage site, the Morne Trois Pitons National Park, one of the top Dominica attractions. The lake is the biggest and one of the most important of the island. 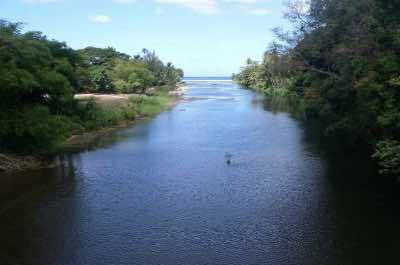 The reason is that the Roseau River generates the power for Dominica. The lake is placed nearly 2500-feet over the sea level and has the presence of volcanic formations. You can enjoy the visit to practice some sports: hiking, boating, and kayaking. Once in the Freshwater Lake, observe the rich fauna and flora that provides a relaxing environment. To better enjoy your visit, consider hiring a specialized tour. You can combine the visit with the Emerald Pool, other unmissable attraction of the Morne Trois Park. The Indian River is literally a movie scene. 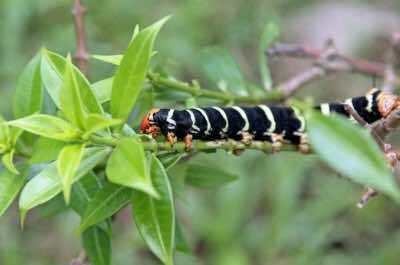 And not only for the exuberance of the vegetation and the variety of the native animals. The Indian River was one of the locations where the movie "Pirates of the Caribbean" was shot. The river is 18-feet deep and during the boating, that is guided by a local, you can observe the nature along the river, that meets the sea nearby the city of Portsmouth. For even more adventure, you can hike along the trails near the river. To combine the many Dominica points of interest, you can take a tour that leads you through the Indian River, the Fort Shirley in the Cabrits National Park and the Purple Turtle dark-sand beach. Usually, the departures for the tour is from Roseau, the capital of the island. 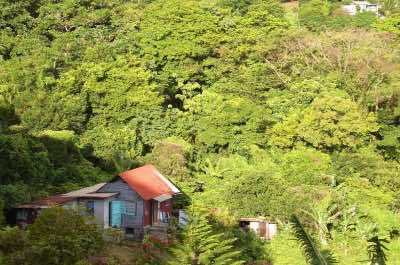 Although small, Laudat is a very important village, where you can find plenty of tourist attractions in Dominica. From the Laudat village, you can have access to the Ti'tou Gorge, a breathtaking natural pool in the bottom of a 45-foot waterfall. The interior of Ti'tou Gorge only can be reached swimming in the clear waters of the place. In Laudat, you're very close to the Boiling Lake and the Valley of Desolation. This is a volcanic area, where you can hike in the company of an official guide. Enjoy the nature wonders to observe the rainforest and the richness of the fauna in the Morne Trois Pitons National Park. The park is very close of Laudat and holds wonders, like the Emerald Pool and the Freshwater Lake. The Layou River is where you can have a lot of fun. 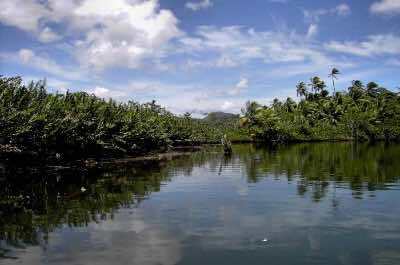 The river is the longest of Dominica and you can make a tubing journey here. Gather your friends and go down the river while watching the beautiful landscape of this unique place. A professional guide will give you the instructions to better enjoy the adventure. Many tours in Dominica lead you to this river, that can be seen from above during a zip lines attraction, in the Wacky Rollers Adventure Park. 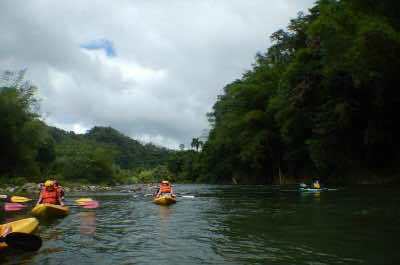 The Layou River also provides you the opportunity of kayaking until the sea - one of the top tattractions in Dominica. The expedition is an awesome opportunity to see a different side of the island while you have fun. All adventure tours are safe and guided by trained professionals. Morne Bruce is a mountain that provides you an unforgettable experience. Although small, the mountain is a target for those that love hiking. But, don't worry, if you're not willing to go on a steep hiking, you can reach the top by car. Visit Morne Bruce in the evening when you can contemplate the nature show while the sun dives into the sea. 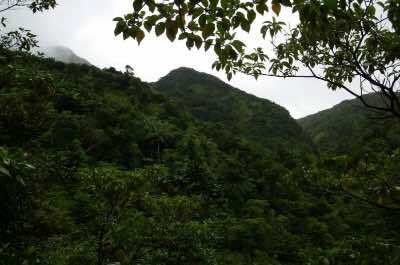 Morne Bruce is part of the Dominica Botanic Gardens, some of the unmissable Dominica attractions. The Botanic Gardens is the home of the Sisserou Parrot, a species that lives only on the island and is the symbol of Dominica. Enjoy the opportunity to visit other attractions on the Roseau by taking a sightseeing tour. The Trafalgar Falls are a wonderful place for those who like hiking and nature. To reach the waterfalls in the Morne Trois Pitons National Park, it is necessary to hike during ten minutes. Reward yourself by swimming in the refreshing waters of the natural pool. The air, the flora, the fauna, everything contributes for a perfect natural getaway. The park also has other activities that can't be missed. The park has about 6 hectares and it a UNESCO World Heritage site. There, you'll find the Freshwater lake, the Boiling Lake, the Valley of Desolation. So you don't get confused, you can make a list of attractions in Dominica, so you don't miss any important places. To visit the park, hire a tour and be guided by trained professionals. Middleham Falls is the perfect Dominica attraction which will amaze you with the sheer thunder of water cascading into a nice pool below. Located within Morne Trios Pitons National Park near Laudat, Middleham Falls is a spectacular 300-foot waterfall which is surrounded by a lush green tropical landscape. To reach Middleham Falls you will hike an hour over a well-developed trail that is family-friendly and not too difficult. Once at this Dominica attraction you will be in awe of the power of the water that is cascading down the cliffs into a large pool. There is a fabulous mist at Middleham Falls which provides extra ambience as you gaze upward at the cliffs. The large pool is perfect for swimming and you should use caution when diving because of the rocky shoreline of the pool. You can take a picnic or grab a bite later at Roxy’s Restaurant which serves great creole-style cuisine and is very close to this Dominica attraction. The Wotten Waven Sulphur Springs is a destination for you if you desire to recharge your strengths. 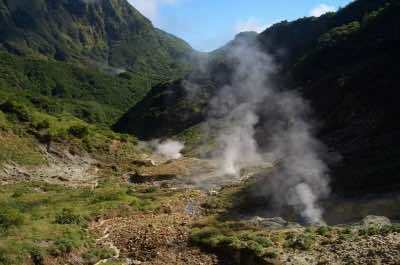 The village is located near one of the nine active volcanos of Dominica. Wotten Waven has a specific characteristic that attracts people from all over the world. 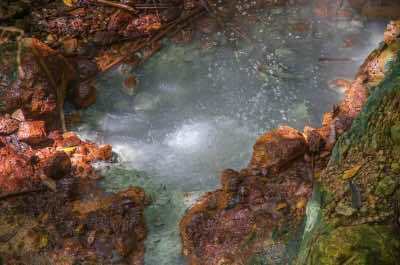 The geothermic energy that comes from the hot springs is the main experience that you can have in Wotten Waven. To reach the village, you can take a fun safari tour on a jeep. This kind of tour takes you to other amazing places, like the Ti'tou Gorge, a natural pool in the bottom of a waterfall that only can be accessed by swimming. The safari jeep adventure also can take you to learn about the Botanic Gardens, an amazing place where you can have a closer contact with nature. 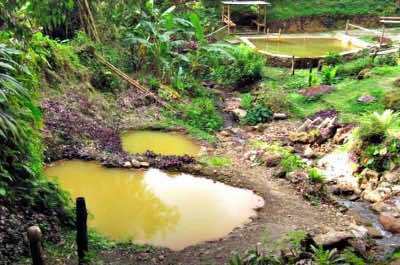 Ti Kwen Glo Cho Hot Springs is an ideal Dominica attraction for you to visit when you want to relax in a jungle landscape. Ti Kwen Glo Cho Hot Springs is located in Wotten Waven, just north of Roseau and is also known in Creole as the Little Corner with Hot Water. This Dominica attraction has an incredible setting that will throw you back to the ages of Jurassic Park. The grounds contain two warm soaking pools, a mud pool and several bath tubs which are kept filled with warm spring water. You can relax in one of these exquisite hot springs while you gaze upon the tropical flora which thrives in this area. You will walk on paths cut through this magical landscape and even view a waterfall of spectacular proportion. You will not want to miss the Ti Kwen Glo Cho Hot Springs when you visit this fascinating tropical island. 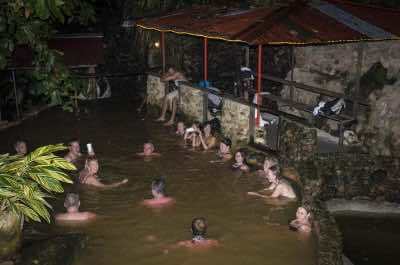 Screw’s Sulphur Spa is the perfect Dominica attraction for to relax and enjoy the natural hot springs of Dominica. Located in Wotten Waven, Screw’s Sulphur Spa is a soaking and soothing paradise for your body. Situated within a dense tropical landscape this Dominica attraction offers three different soaking pools which range from cool to warm to hot. Screw’s Sulphur Spa also features a nice cold water pool when your body is ready or you can cool off under the cascading water of one of the several waterfalls that are located on the grounds. While you are at Screw’s Sulphur Spa you can enjoy authentic Caribbean cuisine and a cold libation. In the evening, Screw’s Sulphur Spa glows with several lighting features that emit color to the natural surroundings of the jungle. Roseau Museum is an ideal family-friendly Dominica attraction which will give you a great overview of the fabulous island of Dominica. 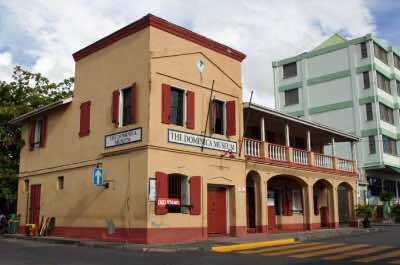 Located across the street from the cruise ship pier in Roseau, the Roseau Museum is the only way to learn the interesting facts of the Dominica from its early geologic formation to the present day social history of the island. This Dominica attraction will take you about an hour to walk through and complete while you read the different exhibits which explain everything from the geologic formation of Dominica to the Kalinago indigenous people of the island to early colonization by the British to present day history. When you are finished learning the culture and natural history of Dominica at Roseau Museum, you can stop for lunch at Old Stone Grill and Bar which serves delectable Caribbean-style cuisine. Valley of Desolation is one of the most unique Dominica attractions you can visit which highlights a diverse landscape from rainforest to geysers. Located in the Morne Trois Pitons National Park, you will pass through the Valley of Desolation as you hike to the famous Boiling Lake. This Dominica attraction will remind you of a place during the time of dinosaurs where vents in the ground emit vapors, geysers and mineral pools of brightly colored water. If you have been to Yellowstone National Park, then you will understand the beauty you will find as you hike through this ever changing landscape on Dominica. Valley of Desolation is an extreme hike and you must be careful where you step on the heated ground because the ground changes daily. You will be amazed as the steam rises up from the White River which flows from Boiling Lake and releases the smell of Sulphur into the air. This Dominica attraction is one of the best geological experiences on Dominica. Soufriere Scotts Head Marine Reserve is an ideal choice for you when you want to get close to the unique natural underwater marine life and view the Caribbean Sea as well as the Atlantic Ocean. 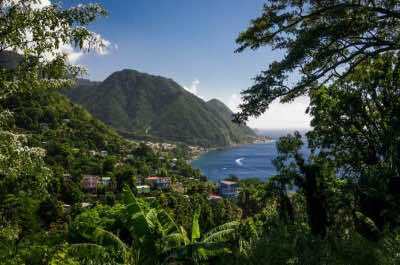 Located on the southwestern coastline near the villages of Soufriere and Scotts Head, this Dominica attraction is recognized as a UNESCO World Heritage site. Formed by a submerged volcanic crater, Soufriere Scotts Head Marine Reserve is composed of four areas which include a fish nursery, recreation, fishing priority and scuba diving. While you visit Soufriere Scotts Head Marine Reserve you can snorkel and scuba dive in the amazing underwater world created by the volcanic activity releasing thousands of air bubbles into the water. The bubbles are spectacular and you will feel like you are traveling in a glass of champagne as you view the incredible walls that drop-off into the dark abyss below. You can also enjoy a wonderful island libation while relaxing on the beach area at Bubbles Beach Bar. Victoria Falls is a spectacular waterfall and one of the must see Dominica attractions for families. Located in the southern portion of the island near Delices, Victoria Falls is created by water flowing from Boiling Lake which created the White River. This stunning Dominica attraction involves a short hike which crosses the White River and travels through a dense tropical landscape with several cliffs protruding above the canopy. The hike is less than a mile and once at Victoria Falls you will be amazed as the water tumbles 165-feet downward into a large pool. The clear blue water is perfect for creating a misty atmosphere as the water flows into the pool. The swimming is good at Victoria Falls and the jungle landscape will make you feel like a real explorer who has just found their perfect spot of tranquility. After you exciting hike you might want to stop at the Jungle Pavilion Restaurant for superb Caribbean-style cuisine. Syndicate Falls is perfect for you when you are seeking a Dominica attraction that puts you right in the middle of nature. Located on the northcentral portion of the island near Salisbury, Syndicate Falls is also known as Milton Falls. 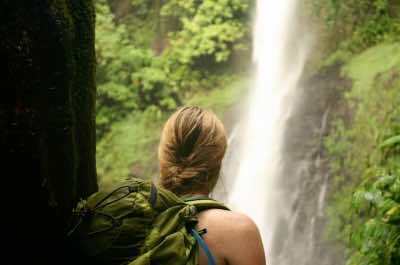 You will enjoy a short 20-minute hike through the beautiful tropical landscape to this Dominica attraction that features a spectacular 100-foot waterfall. Once at Syndicate Falls you can gaze as the clear water cascades down a wall of rock that is covered with brightly colored mosses. Syndicate Falls has a wonderful pool where you can cool off and swim when you are through taking photographs. The area is full of wonderful wildlife and the tropical landscape will remind you of being Indiana Jones in the jungle. For those looking for more adventure there are camping sites available at Syndicate Falls as well as concession services. Sari-Sari Waterfall is a fantastic idea for you when you want to include a little exercise while viewing a spectacular waterfall. 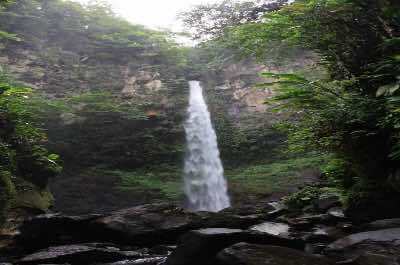 Located within the eastern portion of the island near La Plaine, Sari-Sari Waterfall is a wonderful place to enjoy a portion of your day in a tropical landscape. This Dominica attraction is found after a challenging and steep hike that can range from 30 to 60-minutes. There is a trail cut out of the jungle landscape and you will need to cross the Sari Sari River several times before you reach this stunning area. Sari-Sari Waterfall has a spectacular drop of over 165-feet with water tumbling down volcanic rock which is surrounded by numerous native pants. 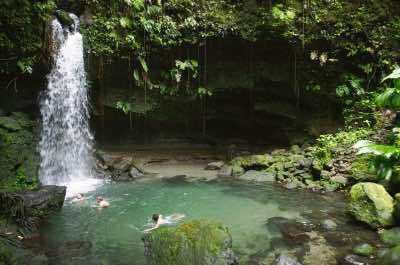 There is not a pool of water at the bottom of the cascade but you will pass several pools before reaching the bottom of this wonderful Dominica attraction where you can cool off. If you have time after your hike try the Riverside Café for lunch which is a short distance north of La Plaine. Spanny Falls is a great place for you and your family to visit two superb waterfalls which are surrounded by a lush tropical landscape. Located near Bells in the central portion of the island, this Dominica attraction is sometimes referred to as Penrice Falls and can be reached by a 20-30 minute walk through the jungle. The first waterfall is exciting to watch as the water tumbles down the vine covered cliff for 40-feet before reaching a small pool at the bottom. You will be aided by a rope during your climb to the second waterfall which plummets over 70-feet downward into a larger pool. The second pool is deep at ten feet and you can go swimming but caution is advised. The water of the Pagau River is quite chilly as well as refreshing and there are numerous photograph opportunities at both waterfalls. When you return from your hike you can stop and enjoy a great island beverage at Spannys Bar which keeps the trail passable for visitors. Cold Soufriere is a fantastic Dominica attraction for families who want to learn more about the unique geothermal features of Dominica. 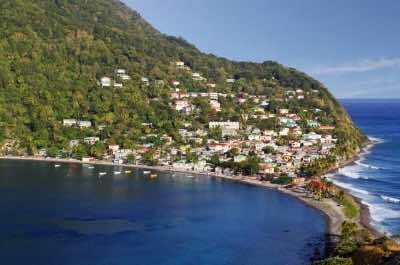 Located in the northeast portion of the island near Penville, Cold Soufriere is quite different than the warm thermal features you can experience on this island paradise. Cold Soufriere is an old volcanic crater and can be reached after a 45-minute hike which winds through the beautiful tropical forests of Dominica. Once at this Dominica attraction you will notice the smell of sulphur in the air as you gaze out at seventeen different ponds of water. What you won’t find here is warm water though or fumaroles spewing out hot gas into the water. These different ponds at Cold Soufriere are full of cold acidic water and you can watch several of the pools bubble because of the various gases being released. While at Cold Soufriere you will enjoy expansive views of the surrounding mountains and on clear days even several surrounding islands. Chaudiere Pool (or Bense Chaudiere pool) is a fantastic Dominica attraction for families that don’t mind a short hike to a superb water pool which is complete with a chute slide. Located in the northeastern portion of the island near Bense, Chaudiere Pool is a part of the Hampstead River and has something for everyone. First you will take a hike of 20-minutes in which you will cross the first river and follow to the confluence of two rivers. Here you will notice the sounds of a water chute in the distance. Once at Chaudiere Pool you will be delighted with your options for fun. Chaudiere Pool is deep enough to dive into from the rocks above or you can choose to climb to the water chute and ride the flow into the pool below. You can also relax on the rocks and enjoy the tropical canopy of different flora as you listen to numerous parrots. This Dominica attraction is a wonderful feature on the island and you can also continue your hike past the Chaudiere Pool. You can follow the Hampstead River where there is a good chance you will find more waterfalls as well as deep water pools. Papillote Tropical Gardens is a great family Dominica attraction for those seeking a retreat into the rainforest for a relaxing day of fun. Located within the central portion of the island near Roseau, Papillote Tropical Gardens is situated within the larger Papillote Wilderness Retreat inn. This Dominica attraction offers views of over 19 species of butterflies, 30 different kinds of birds and numerous native plants like pink ginger blossoms, ferns as well as the flowering jade vines. 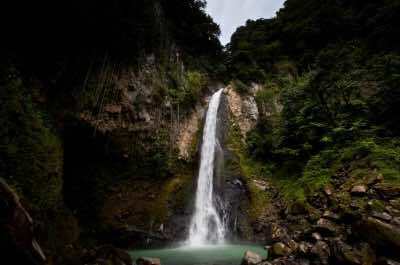 The 14-acre Papillote Tropical Gardens have several trails to follow within the reserve which lead to two separate waterfalls, a natural hot springs and a bathing pool. The high elevation of the Papillote Tropical Gardens will give you an opportunity to experience the best views of Dominica while you rest and enjoy this perfect tropical landscape. If you are staying on the island longer, you may decide to spend an evening at the lodge or have lunch at the onsite restaurant after you are done walking the fabulous Papillote Tropical Gardens. Kalingo Barano Aute is the only family-friendly Dominica attraction that you will learn the culture and history of the indigenous people of Dominica called the Kalinago. Located on the east coast of the island, this Dominica attraction will please you with numerous facts on the history and culture of the Kalingo people. During your visit you will taste their food, learn about their unique arts and crafts as well as watch the Kalingo perform a traditional dance. You can take a guided tour of the 3,700 acre preserve which will take you into the rainforest where you can view incredible wildlife of Dominica. You can even plan an overnight stay at Kalinago Barana Aute where you will live with an actual Kalingo family in their dwelling. You will have an interesting and entertaining time while learning about Dominica as well as the Kalinago people on this Dominica attraction. 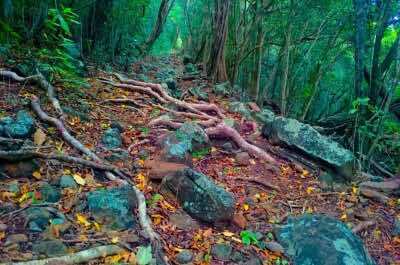 Waitukubuli Trail is an excellent way for you to experience the culture, history and nature of Dominica. This Dominica attraction is over 90 miles long and has fourteen distinct segments of trail. The Waitukubuli Trail traverses the island from the south near Scotts Head where you will travel north through the central mountain areas to Pont Casse before arriving on the eastern coastline around Castle Bruce. From here you will follow the coast northward before heading inland again, where you will travel to Penville and follow the north coastline of the island until you reach Cabrits National Park. You can complete just one segment of the Waitukubuli Trail or the whole trail if you choose. The Waitukubali Trail is packed with interesting wildlife that you will only find on Dominica and along the trail you will find several places to camp, benches to rest upon and the most exciting views of the island. You will talk with locals and learn the interesting culture of the island while exploring the island on this Dominica attraction. 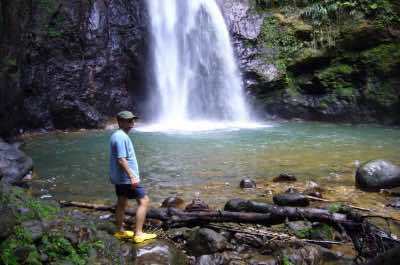 Whether you hike the whole Waitukubali Trail only one segment, you will enjoy the pristine nature of the hike.